GeneRally International Forum - View topic - How did you decide your race colours? Hi, in this topic i can ask you guys, how did you decide your race colours? Re: How did you decide your race colours? Cyanblue/Yellow (000-255-255/255-255-000) are my favorite colors. If you can say the reason of your race colours, or only like this colours? Red and white - from our Polish flag. Generally, I use purple and red (my favorite colours), but I don't mix them. I go with purple and white, red and teal, black and purple, orange and red, and so on. Mine are, of course, Purple and Orange. This comes from a toy car I had when I was little, it was purple and orange. And the team I pretended it raced for was Volcano Motorsports. So, that is the story of both my colors and team name. Well, i always related your race colours with the Dunkin' Donuts logo. I use black and red, which are the colors used by the Razgriz Air Command Squadron. 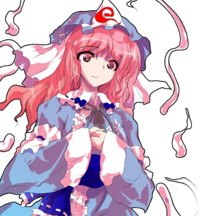 My current colors are the same as Touhou boss character Yuyuko Saigyouji, a ghost princess who wears sky blue and pink. Haruna, those are very cool colors. I've used variations of sky blue and violet for years and years. I started with more pink and clearer blue (see cars section at my web site for an earlier scheme) and I often change the tones a bit from compo to compo but this is where I currently am. I just like the colors, the color combination, and the fact that nobody uses similar colors - until now, it seems. Btw, I actually started with Brazilian colors but changed to the current colors maybe 10 or 11 years ago. Np2003, what are your colors? My favourite colors were red and black (because of this). 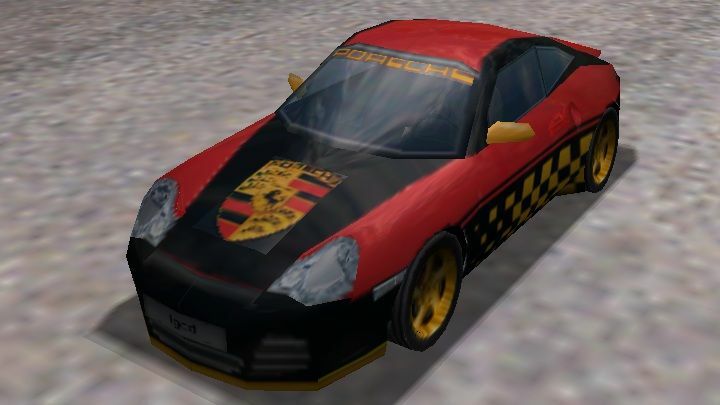 Later, I added blue color so I had in almost every racing game red-blue-black car colors and I didn't want to change it. But because I saw that my favourite colors are the same as Marussia Virgin in F1 and I really wanted to have my "own" colors, I decided to change it for white and dark green (0-96-0) - in the flag of Poland there is white and red but I don't like too much red so I decided to swap it with my favourite, dark green. And it was also the birth of my team - Lambda Motosports. My colors of green and silver (0-160-0, 192-192-192) come from the very old days, when we've decided with my friend to imitate f1 teams for the original Formula. When brewing some paints, I've began to use Jaguar's livery. Later that was a bit refined and based on that, I've created (that already on RSC) the team Herbal Racing, and my colors, too. The first time I race here, I was tinkering with combinations of red and white. I chose those colors because of my nationality: Indonesia, so I don't think further explanation is needed since I was racing under different team names with various names. Fast forward to mid-2012 where I re-branded my RendyTUNED site as [R]GARAGE. If you haven't know what RendyTUNED is, it's mainly a site comprising of my game stuffs, mostly Turbo Sliders, but there existed GeneRally creations too. Growing up as an art-conscious person since my first day of college, I decided to use [R]GARAGE's theme colors: dark grey and red, though in some cases white is also used. Team [R]GARAGE finally began its operations in GR Touring Car World Cup, carrying mentioned colors as not only mine but also its own brand. I have plans to rebrand [R]GARAGE as a whole, yet I won't change my GR colors as it's now already my ID. Well, maybe now the Dark gray and red are your new trademark , please not change your team name , are very cool. I like too this colours, very nice.